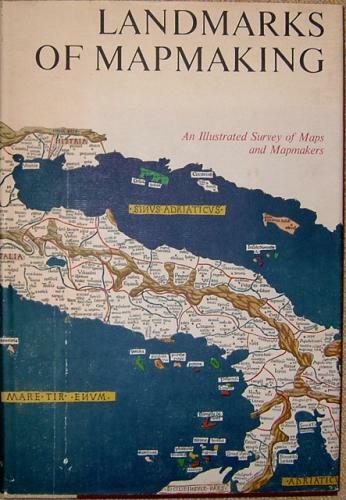 Preface by Gerald Roe Crone with maps chosen by R. V. Tooley. Out of Print. A standard reference and a beautifully produced and illustrated work covering the development of cartography, the exploration and mapping of Europe, Asia, Africa, the Americas and Australia. Hard bound with a dust jacket and in very good condition. This book has 276 pages, over 350 illustrations, including maps, portraits, title pages and reproductions from early sources, 14 color folding maps, other color illustrations, bibliography, and index. Please note that extra shipping may apply.